The world of commerce is growing by leaps and bounds and it can be amazing for your online store to get higher amount of visibility. Amazon is one of the largest marketplaces and can provide your business with a global platform to get just the kind of massive exposure and visibility that you can only dream of. With our top marketers and software management tools, we make Amazon integration seamless with your 3d card store. We use cutting edge tools to facilitate 3d cart Amazon integration for you. Whether you would like to get help with automated product listing or get shipping and order tracking management services, we can help you out. We can manage each and every aspect of your store management and allow your store to be promoted across varied distribution channels to get the greatest amount of online visibility. Irrespective of how vast and wide your product stock is, we can take care of all the small details with our 3d cart Amazon plugin / connector apps. You can get all the products quickly and get bulk updates fast enough. Whether you would like assistance with stock levels, description, title, cost of products, multiple dates or more, you can count on us. We can provide you with customized order tacking updates and real-time inventory management of your stock, so that you can keep track of all your under-selling and over-selling problems. Our advanced 3d cart amazon extension can promote your store visibility across a wide variety of shopping channels, and make sure that your business gets the number of eyeballs that it deserves. Our high tech 3d cart amazon plugin takes care of all the Amazon order management and automated Amazon product listing. Even if your voluminous products vary by types, colours, sizes and materials, we do handle bundled, kit or group products with ease. 3d cart to Amazon granular level product category mappings help in syncing with the right categories. We have variable pricing for Amazon and other marketplaces. Wish to enhance your sales on 3d cart and Amazon or need more info? Get in touch with any of our expert Client Service Executives. 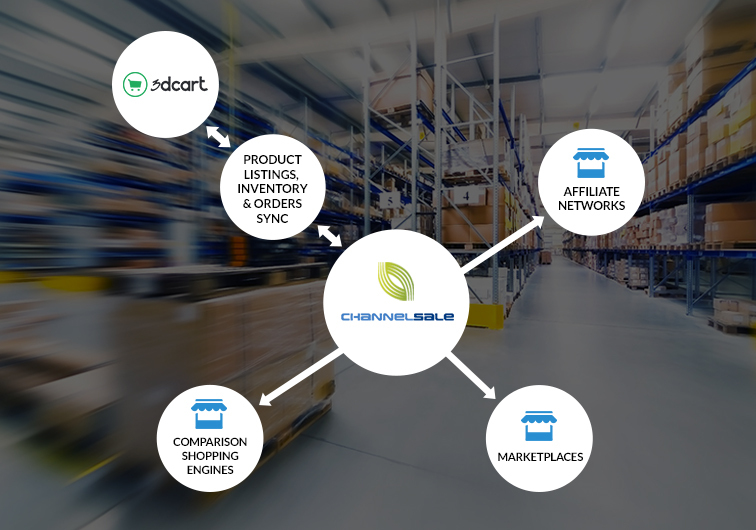 Send an email to info@channelsale.com or call us on phone +1-866-709-9495.